The vision of each Novō community is to see hurting and broken people find freedom and new life in Christ – freedom from addiction, freedom from sin, freedom from shame, freedom to enjoy the abundant new life which Christ won for us all. and the Lord answered me and set me free”. As the work at Quinta Totaices moves ahead, it is a joy to see individuals who arrived at our door broken and battered finding just this freedom. Ulises, who graduated in October 2017, is doing well – working in construction, training as a welder, and finding his place in church life. Three more men – Rogelio, Dario and Antonio – complete the programme in the next few days. They should soon be followed by Ernesto and Jaime who we hope will graduate in May. That as the men at Quinta Totaices engage with therapeutic groups, 1-1s, work/training, church and discipleship, they would find true and lasting freedom. 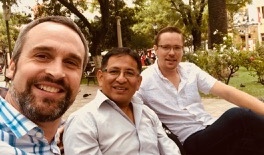 That Rogelio, Dario and Antonio would know God’s peace as they approach the end of their programmes and, with Novō’s support, transition into the community. Our hope has always been that Quinta Totaices would be a pilot project, the first of many Novō communities across Bolivia and, ultimately, the developing world. Addiction is a global epidemic and the need for communities where healing and restoration can take place, is increasing year by year. In that context we’re very excited to be able to let you know that Novō now has a presence in Tarija, a city in southern Bolivia. David Fuertes, who served with us for a year as our Recovery Assistant in Santa Cruz, has returned to his home city, along with his wife, Rhina, and their son, David. 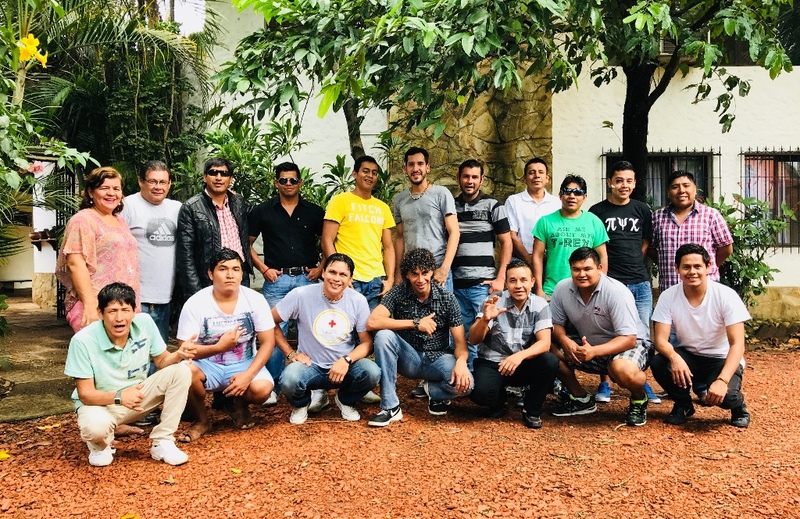 Following a career in business David planted and led a thriving church in Tarija, so he comes to his Novō role with the experience and connections needed to get the job done. Novō Tarija will begin with a Day Programme, a non-residential community (based on a model which has proven successful in the UK) which will offer many of the same elements as the residential programme in Santa Cruz. Our hope is that this approach will enable us to rapidly establish a presence in a new location and impact addicts/alcoholics who, because of family pressure and ‘support’, are unwilling to enter residential rehabilitation, but are still in desperate need of help. For strength, courage, and wisdom for David Fuertes as he pioneers the work of Novō in Tarija. 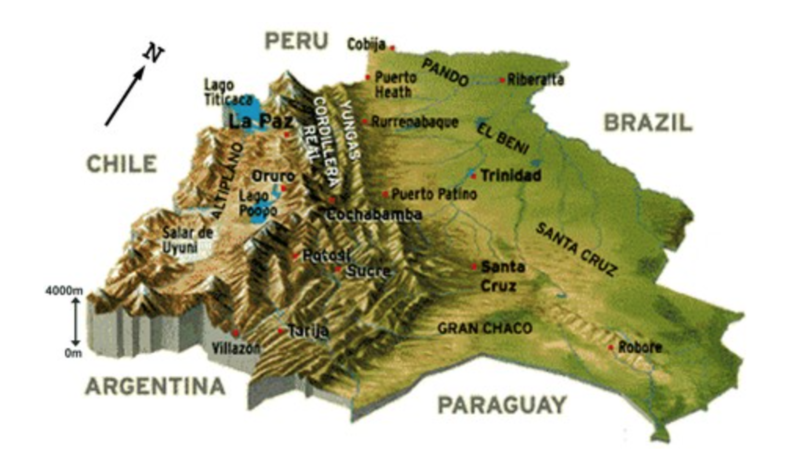 That the non-residential community which forms in Tarija would have the qualities we desire for all Novō communities – specifically that it would: be founded on Christ, focus on the whole person, partner widely with local churches, be a community of love and discipline, be characterized by grace and truth, promote freedom and responsibility. Crucial to our ability to empower people like David Fuertes to launch new Novō communities is our capacity to develop strong local income streams to sustain the work of existing communities, such as Quinta Totaices. This will release funds raised internationally for new initiatives, along with investment in capital items such as properties and vehicles. Local fundraising, resident fees, and the income from each project’s work/training programme all make an important contribution to the sustainability of each Novō community. However, during 2017 we became convinced that we needed to think more creatively if we are to generate the kind of income required to support Novo’s vision for multiple transformative communities. In this context we began searching for profitable business opportunities whose primary purpose would be income-generation to support the work of Novō, whilst also offering work/training opportunities to our graduates. 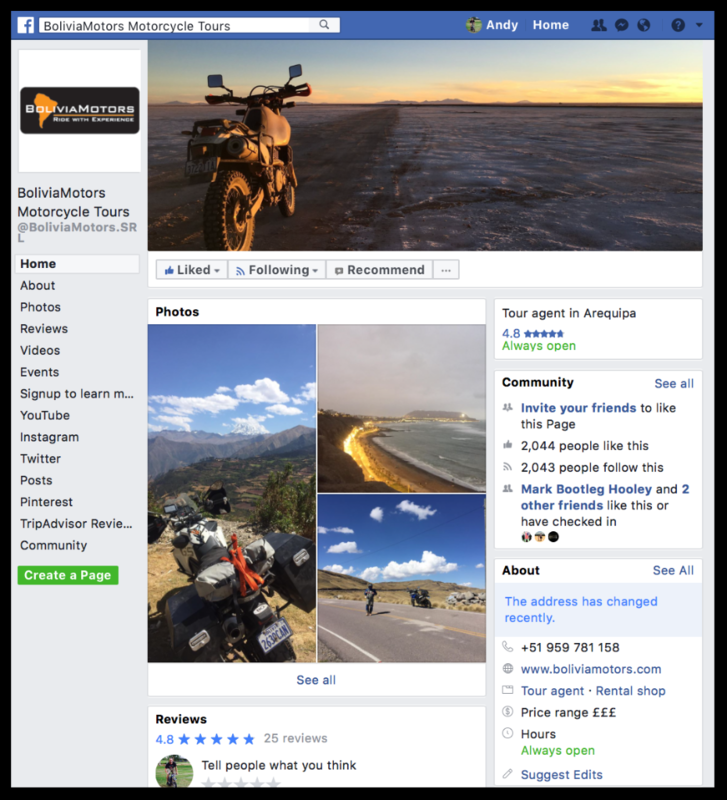 Having explored a range of possibilities (catering, air conditioning installation/repair, a car wash), towards the end of last year we were presented with the opportunity to buy an established motorcycle tour/rental company, Bolivia Motors, and are currently in the process of completing its purchase! You can find out more about the company by searching for it on Facebook. It’s currently based out of Cochabamba but we will be moving it to Santa Cruz shortly, operating it out of purpose-built facilities at Quinta Totaices. Additionally we will be rebranding in order to better communicate the social impact of the business, 100% of whose profits will go to helping our residents find freedom and new life in Christ! Give thanks for the generosity of our supporters which makes all things Novō possible, including the purchase of this business. That this business will both generate significant resources so that it can sustain the Novō community at Quinta Totaices and powerfully impact the lives of its customers for the Kingdom. During the course of 2018 we need to raise a monthly minimum of £9,000GBP / $15,000CAD / $12,000USD. As we trust in God to provide, can we ask you to pray with us and consider how you can partner us to meet these needs? All the information you need to make a one-off donation, or to set-up a regular monthly donation, can be found in the blue boxes below. In addition to praying in response to these updates, please consider signing up for our monthly prayer updates. To do this, please email Rachel Burton (rachel@novocommunities.org). Novō is a charity which is dedicated to pursuing a singular vision – the vision of creating transformational communities in developing nations where hurting and broken people can find healing, wholeness and hope. © 2019 Novo Communities. | All rights reserved!